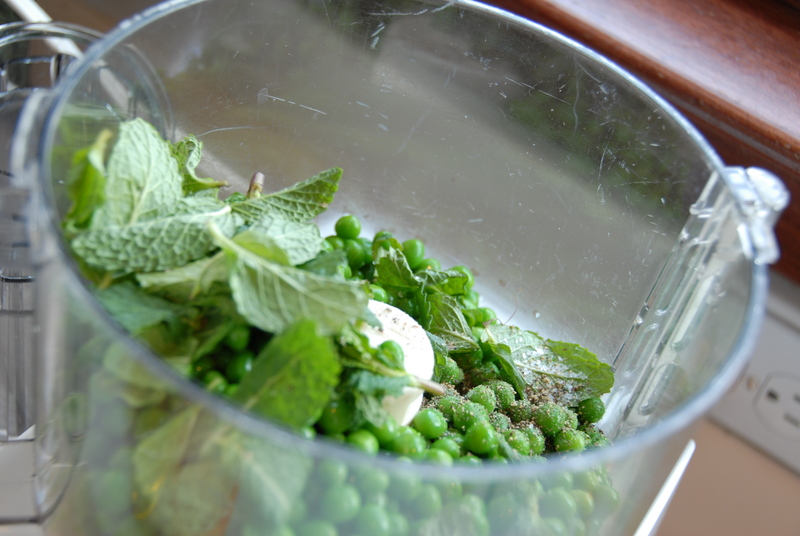 For the pea puree – combine the following in a food processor and puree. With the food processor running gently stream in a 1/2 cup extra-virgin olive oil. 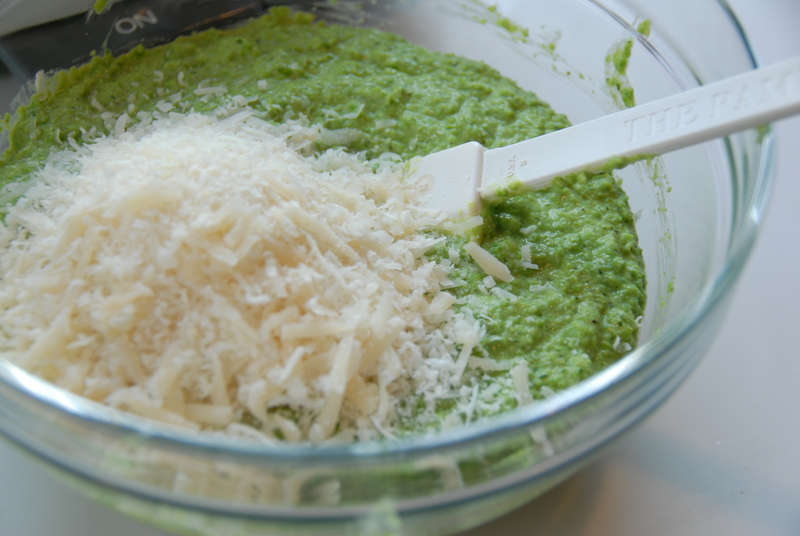 Transfer the puree to a bowl and stir in ½ cup of grated parmesan. 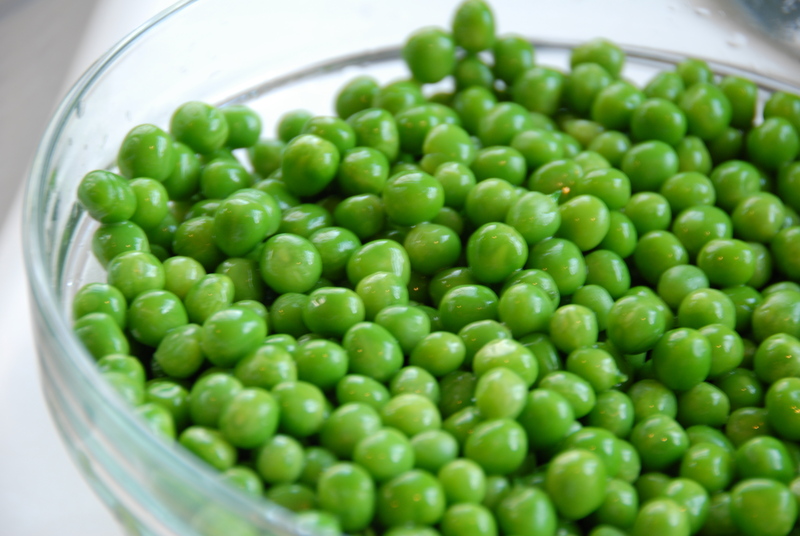 And there you have it: a bright, simple pea puree. To make the lemon brodetto, warm the olive oil in a medium saucepan over medium heat. Add the shallots and saute until tender. Add the lemon juice, zest, and broth. Bring to a simmer, and keep warm, covered, over low heat. For the Salmon, warm the olive oil in a large, heavy skillet over high heat. Season the salmon pieces with salt and pepper. Sear the salmon until a golden crust forms, about 4 to 5 minutes on the first side. Flip and continue cooking until medium-rare, about 2 more minutes or so. Just before serving add the mint to the brodetto. 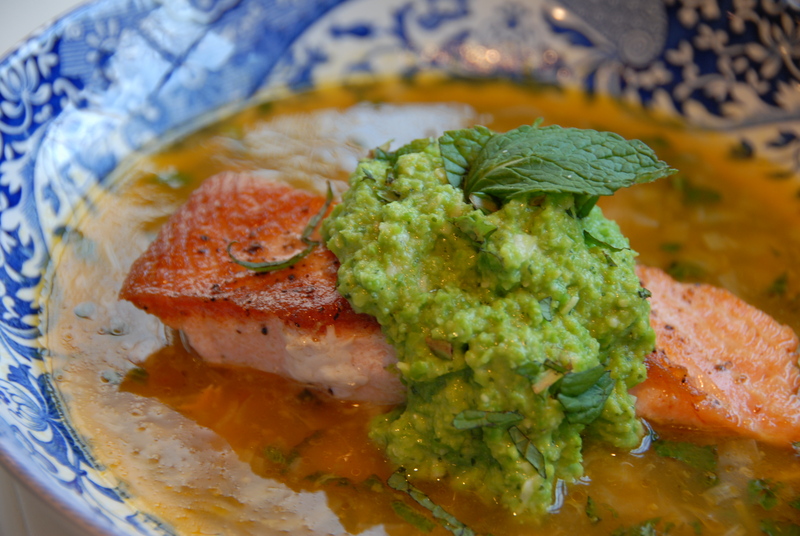 Ladle into dishes, place the salmon in the broth and the puree atop the fish. Be sure to have a good loaf of crusty bread nearby – you’re going to want to sop up every last bit of the lemony broth. This entry was posted in Garlic, Lemon, Peas and tagged broth, garlic, giada de laurentiis, lemon, mint, peas, puree, salmon, shallot. Bookmark the permalink.